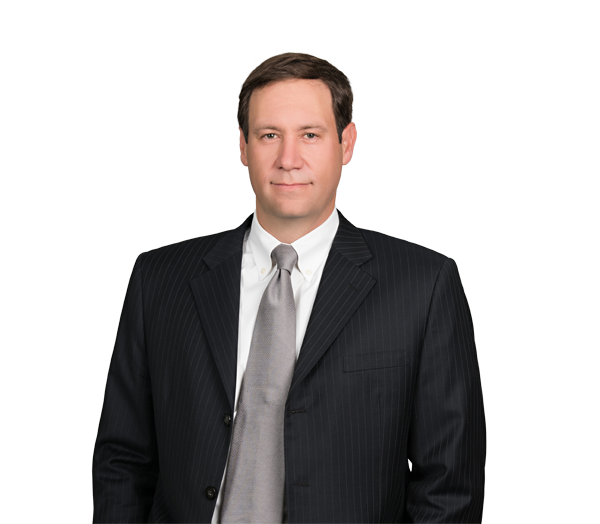 Jon Krisko represents clients in complex, business-related litigation, which has included matters involving product liability, corporate, fiduciary and securities law, intellectual property, and governmental and regulatory investigations. His experience includes complex trials, arbitrations and appeals in federal and state courts. Jon has represented a number of public and private companies and individuals in complex disputes that have included class and mass actions, product liability matters, health care matters and bankruptcy, and litigation and counseling related to governmental investigations. In addition to representing clients in court, Jon regularly counsels business clients as general outside counsel, helping them develop legal and business strategies, manage risk and negotiate resolutions of business disputes. Jon recently represented Atrium Health in successfully resisting attempts by Mednax to enjoin termination of a $100 million anesthesiology contract. He was also trial counsel to Garlock Sealing Technologies in a nationally reported decision that accepted Garlock's estimate of aggregate responsibility for asbestos-related personal injury claims and rejected opponents' estimate that exceeded $1 billion. Represented largest health care provider in the Carolinas in securing denial of preliminary injunctive relief in action brought by public company related to $100 million anesthesiology contract. Represented Garlock Sealing Technologies in a trial to estimate the company’s aggregate liability for personal injury claims and related proceedings. The case was one of the nation’s most closely watched product liability cases, and it resulted in a ruling accepting the position of the company and rejecting the position of personal injury claimants who contended liability exceeded $1 billion. Represented individual creditors and appointed as creditor group counsel in successful multiparty litigation and negotiation in the North Carolina Business Court and a related bankruptcy. Represented largest health care provider in the Carolinas in negotiation and related litigation in North Carolina Superior Court, successfully resolving dispute between a physician services provider and its physicians to ensure uninterrupted delivery of care. Represented publicly traded cybersecurity company in North Carolina federal district court in connection with claims made against the company by a former director and investor. Represents major-sport professional athletes, their agents and financial advisers as general counsel, in financial fiduciary litigation, and in other commercial disputes and negotiations. Represents technology company in connection with the enforcement of licensing agreements and nondisclosure agreements related to the development of proprietary technology. Represented a national financial industry company against putative class action claims based on alleged disclosure of confidential consumer information. The Panel on Multidistrict Litigation consolidated all claims for pretrial proceedings in the U.S. District Court for the Western District of North Carolina, which granted defendants’ motion to compel individual arbitration, effectively denying class relief. Represented national bank in lender liability litigation brought by more than 70 plaintiffs arising from failed real estate development in the North Carolina mountains. The court dismissed all claims brought by plaintiffs and awarded monetary damages in favor of lender on counterclaims. Represented publicly traded broker-dealer, obtaining a full defense verdict in suit claiming millions of dollars in damages on allegations of breach of contract and fraud. Represented employer, obtaining a decision from the North Carolina Court of Appeals that reversed the trial court and enforced the employer’s covenant not to compete.